Sydney-based interior stylist Jason Grant has an incredible eye for design. 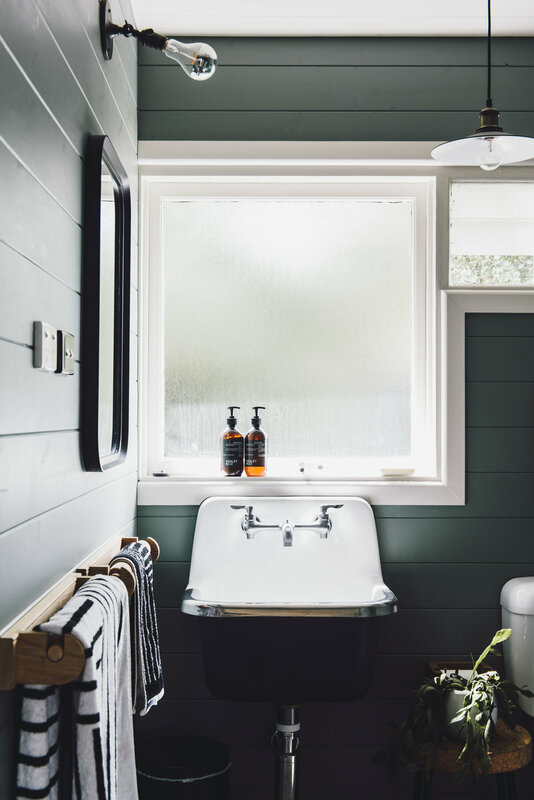 Having styled some of the most beautiful interiors for both local and International publications, Jason has a real knack for nailing effortless, eclectic style. Scrolling through his Instagram page, two things standout - his love for design and his passion for his local stomping ground, Bondi Beach. 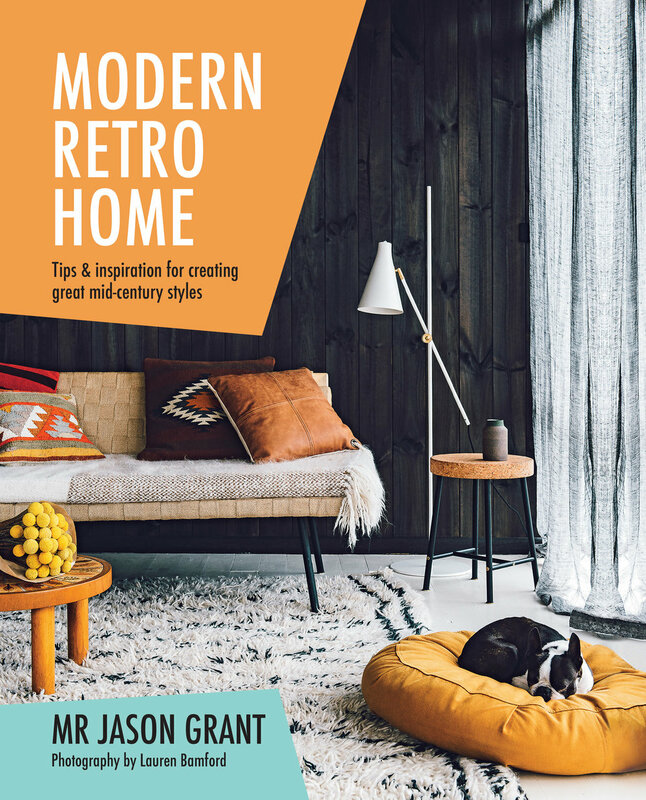 Jason has recently released his third book, Modern Retro Home, a wonderful collection of interiors, sharing a passion for mid-century, 'unstyled', modern homes. Hi Jason, tell us about your new book Modern Retro Home - when was the idea conceived? Modern Retro Home is my third book with Hardie Grant books, it wasn’t the working title of the book when we started, but it’s the direction I have taken which best describes the homes I've always gravitated towards. My travels to Palm Springs and LA have impacted me and my love for the area and its architecture. In the book we feature real local Australian homes - homes which were captured in their real sense, they’re not propped, or tricked up, nothing was brought in. We shoot beautiful homes as they are, they belong to all kinds of inspiring and creative people, many who are my friends. At the core of my style I have always mixed old and new together. As a stylist I always favour an eclectic look, layering and mixing different styles together. What does retro furniture mean to you? When it comes to retro furniture, I love anything from the 50’s, 60’s and 70’s. I also love the hunt for a fabulous find, be it at a garage sale, auction house or flea market. Have you always been creative? Yes, growing up I always made things and loved to draw. I have always had a big imagination - I first discovered the mystical job of a ‘stylist’ before it was made Instagram famous. What are your practical tips for adding retro pieces into a modern interior? Don’t be afraid to mix things up - everything doesn’t need to match... mix eras, styles and colours and materials, buy what you love and be free to create a unique eclectic space. Not everything needs to be expensive - its about a high-low mix, search for vintage bargains, and mix these with store finds. It’s also important to keep your eyes peeled for up and coming artists, makers and designers. How do you stay inspired? I’m always inspired by nature and travel, it’s what fuels my passion. There’s something magical about travel - I have some of my best ideas in cars and on planes. I love to constantly learn and discover new things - for me it’s not really a job, but a lifestyle. How would you best describe your own interior style? As a stylist my style is eclectic - it’s a mix of lots of things, I love anything nautical - boats, anchors and oars. I never consider how something will work with other things in my space, I just buy things I love. My approach is very organic - I love colour over patterns but do love a stripe, natural materials and the handmade. What’s your one big passion? Travel and nature are an equal tie! Whether it's near or far - India, Paris LA, New York or San Francisco. I love an adventure and being in a different or new space - I’m not sure why but some of my best ideas come whilst on planes or in the car, maybe its something to do with the motion! I'm super social, I love meeting new people, finding new things, listing new places, galleries, stores and lastly, one of my biggest passions - my Boston Terrier, Sophia. What are you loving at the moment? My new Canon EOS M6 mirrorless camera, Mandarin Margaritas from local Bondi favourite Drake Eatery, macadamia mik instead of regular milk in my morning coffee at Panama House in Bondi, re- reading Big Magic by Elizabeth Gilbert and also listening to it on audio in the car, and lastly, listening to Lisa Mitchells partially released EP, When They Play That Song. + All imagery from Jason Grant's latest book, Modern Retro Home - out now.